Learning to understand your Chinese horoscope is different than the 12 sun signs of the Western horoscope, whereas it is based in 12 year cycles instead. Most people are familiar with the Western horoscope of 12 sun signs: Aquarius, Pisces, etc. However, not as many people are as well versed in the Chinese horoscope of animals and elements. 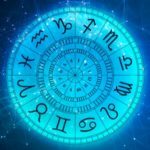 While the Chinese horoscope is not as quickly assessed as the Western horoscope, the details and accuracy of your Chinese horoscope may surprise you! The history of this ancient art can be traced back to the Han Dynasty (approximately 2nd century BCE). It is related to astronomy, as well as elements and even the placement of comets at the time of someone’s birth. 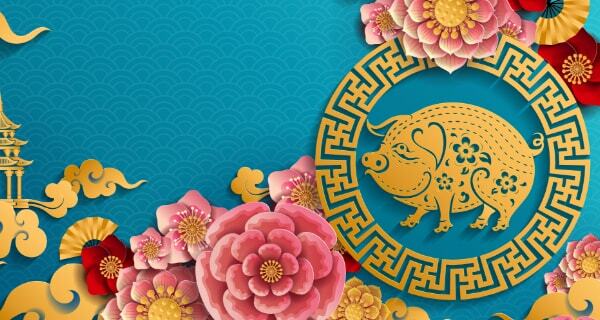 To fully understand Chinese astrology can require many years of study, but for the brevity of this article, this will serve as a brief introduction into this most ancient of divinations: the Chinese horoscope. The legend of how the symbols of these particular animals came to be utilized is a very interesting one. The most commonly accepted legend tells of a time when Buddha summoned all of the animals of the earth to come to him before he returned to heaven. Only twelve animals actually came to bid him farewell. To reward the animals who came to him, Buddha named a year after each of them, beginning with the rat. Each year was named after the order in which each one of the twelve animals arrived. 2011 has been the Year of the Rabbit. It has been a year of rapid transformation, resulting in a time of repose and reflection. 2012 will be the Year of the Dragon. Its element will be that of water, which will play a very important role in many of the events that will take place during 2012. The Year of the (water) Dragon will begin on January 23, 2012. These elements and symbols play a key role in preparing your life for the upcoming seasons. You can find a better match for your dreams and goals when you investigate someone’s signs and elements and how they interact with your own. In the next few weeks, we will look even more deeply into the power of t his ancient art. First to be considered is the year in which you were born as well as the actual date. For instance, you may be a Virgo in Western astrology (Sept. 22 – Oct. 21) but your Chinese horoscope would take into account the year AND the date of your birth, more than the location and time of your birth as in the Western horoscope. 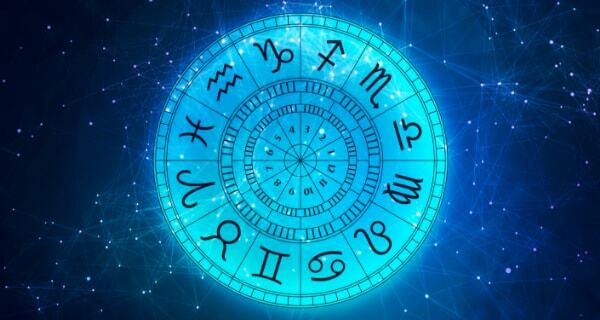 The Western horoscope is divided into twelve months to the year whereas the Chinese horoscope is divided into twelve year cycles, none of which are based on constellations like that of the Western zodiac. Just like in the Western zodiac, certain signs are not necessarily compatible with other signs. For instance, if you are a Dog, you will find yourself compatible with the Horse, Tiger or Rabbit. Those born in the Year of the Pig (or Boar) will find they’re best suited with the Rabbit or the Sheep. For the Rooster, it is the Ox, Snake or Dragon that are the best fitting. For those born in the Year of the Monkey, it is the Dragon or the Rat. For the Year of the Sheep, it is the Rabbit, Pig or Horse that will call to them. For those born in the Year of the Horse, it’s the Tiger, Dog or Sheep that is the better fit. For the Year of the Snake, it will be the Ox and the Rooster that will be most pleasing. For the Year of the Dragon, the person will be happiest in the company of Rats, Snakes, Monkeys and Roosters. For those born in the Year of the Rabbit (to which we are bidding a fond farewell!) the best fit will be found in Sheep, Pigs or Dogs. For those beginning their journey in the Year of the Tiger, it is Dogs, Dragons and Horses that will be your best bet! Those born in the Year of the Ox will find happiness with Snakes, Roosters or Rats. And last but not least, if you are born in the Year of the Rat, it will be a compatible dance when you are in the presence of those born in either the Year of the Dragon, the Monkey or the Ox. As we prepare for the Year of the Dragon, know those who will be your best allies and those whom you will need to avoid. In the meantime, watch for my next article on the Chinese elements and how they relate to your personality and your best career compatibility! Great article Jesse! I am a Dragon AND an Aquarian, so I’m looking forward to a great year. But what’s up with the water? No more flooding I hope. ? Should I stay out of kayaks ha ha. Thanks again. I LOVE being a Dragon Lady and an Aquarian! hi hello just wanna know if me and my partner are compatible .he was born march 20,1969 and i was born january 4,1983. and if this year will bring us luck especially on our careers. i was born on january 29 1969………. i was born a zodiac of aquariues and in chenise is rooster can u tell me wat is my luck and badluck esp color……………. my birthday oct.20/63,can you tell me what sign i am and how is it,it is good,just give me its samble,thanks. Nazira, You’re Chinese astrological sign is the Monkey…so is mine! You are clever, intelligent, curious and, at times, easily bored or distracted. Martha, I can only find where you are an Ox. Perhaps you are born on a cusp and the calcualtion may have been incorrect, but all my infomration points to an Ox. Hope that helps! Edward…thank you for pointing out my “typo”…you are correct, I was actaully pointing to a Libra. Sorry about that, but thank you for catching it! I am certainly NOT a Western astrologer, nor do I claim to be one. Chinese astrology is something to which I pay much more attention. So…my apologies to all the Western astrologers out there! Niki…your sign is also a Monkey. For your career, make sure it is energizing and interesting or else you will burn out quickly. Louise…lucky you! You are a Dragon! This is YOUR year! Richard, I’m not sure what your question was since you didn’t state anything. If you have a question, I will be happy to do my best to answer it. 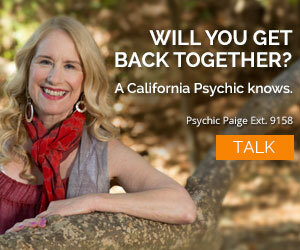 I’m sorry you have problems with certain aspects of California Psychics, but we all do our best to help anyway we can. I see that someone has already answered several of the other questions, so this will be as much as I can do for now, but I will be back! Thanks again for all your comments…good or bad. These are such wonderful comments and questions! Thank you all very much! I will be sending in my next article in abot a week and I will show the years and the corresponding signs and the compatibilities to each sign. Keep these questions coming and we will tackle them together! And thank you for reading (and responding to) my article! Happy Year of the Water Dragon! im born july 5 1980 which sign i have in chinese calendar and do im compatible with this man?born in setember 11 1976? Hi my birth date is 26/4/68. My birthday is 28 JANUARY 1983, so I am dog. Mypartner is 10 JUly 1979. He is goat. Are we ok in relationship? Yes I was wondering if you could tell me my sign and what animal I am Please. Thank you. I was born December 01 1961, 7:05 p.m. on a Friday night. I forgot to add what, and who I would get alone with? for the person born 11/5/84 1984 is the year of the Rat I’m pretty sure…same year for my daughter! 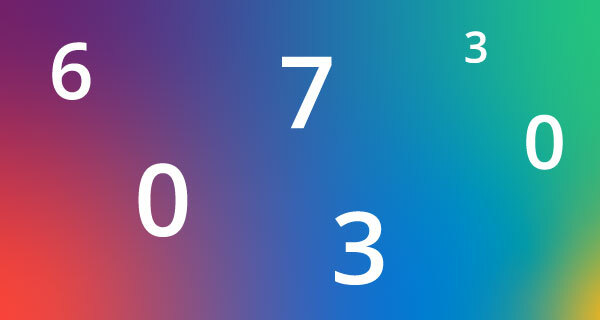 and my lucky colors.I was born in April 12, 1963.
hi,I was born july 27 1959. pls predict me.tahnk you very much…and more power to ur column…. I was born 9/27/1956 and what is my sign and who am I compatible with? My love life whom do I match more with Taurus. hi, what is my zodiac sign? and what is my fortune this 2012? my western sign is sagitarius and i was born Dec.02,1960, I was nterested to know what is the name of animals of my birth yr . can you tell me? Just like in the Western astrology, the Chinese one makes my sign “The Horse” compatible with 3 signs I can’t get along at all so sorry, I don’t buy what you’re saying. My worst relationships if I go by the Western Astrology in which I’m an Aquarian says my best matches are with other Aquarians. Actually the Aquarian men I’ve dated were all wimp, stupid, not trustworthy and cheaters and their lacks of a backbone got on my nerves so bad I would lash out at them. When I’ve dated Scorpians which are not supposed to be compatible with my sign, I had actually good relationships that turned into friendship when we decided to break up and I’m still friends with all my former exes who were Scorpians but with the Aquarians, even trying to be friends is impossible with them. In the other signs supposedly compatible with me, Sagittarius and Libra, they make better platonic friends than lovers so far. So something tells me that Risign signs should be taken into consideration as I’m an Aquarian in my sun sign, a Scorpio in my rising and a horse in Chinese Astrology. The confusion occurs because the Chinese astrological new year starts on February 4th on almost every year. Sometimes, it could be February 3rd or 5th. For 2012, the water dragon year will commence on February 4th at 6.42pm (local time). January 23rd is the Chinese Lunar New Year which follows the new moon. Happy Chinese New Year to all who celebrates. HI Jesse! When I was in China, it was interesting because this is all they could really relate as far as horoscopes. So much “talk” about this year of the dragon-I am excited to see the impact of all of this. Fantastic article. I think of you, often. Sending virtual huggies. You all claim to be good but to those of who cannot afford your prices you are again someone beyond reach. 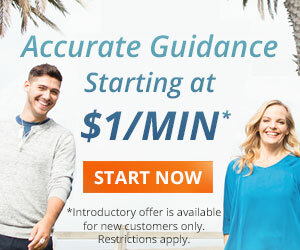 Try to answer our questions by writing to us or is it that you do not know how to. Try it, it may be a refreshing of mind and geest. It can also open many doors that stay closed. Thanks. Very nice article, Jesse….always loved Chinese astrology! 7/30/56 my sign in the wester a leo i no that but I love to no my Chinese sign is ?? If I was born January 21,1961 what is my year? I am considering 1961 or 1960? then in 1977 i found that it is a system of astrology. i was amazed and delighted in this new find and bought quite a few books to learn. over the years i have used this system in my readings as it gives such a clear view of the nature of people. being a rat (i found out that in the japanese version of this system im an ox, they start their system on the first of the year) staying away from tigers, cats and snakes keeps me safe. but than again being a rat i test everything and have had over the past forty years husbands, friends and family who are born in the signs that want to eat me up and spit me out. but my dad was a dragon. brilliant and wonderful. i will celebrate this dragon year with renewed energy as i remember him. dragons are very very lucky – im excited about the new year ahead. I thnk i’m a dragon I was born july 5,1940 I would like to know fr sure. Kindly guide me for my career , want to change in currenr yr.My BOD 25th may 1956 at 10.10a.m. No understanding of any of these signs,and Stars but by reading the news everyday when I get a chance I have a little understanding. Well,for someone who is supposed to be experienced,you got the sun sign wrong in your article,You refer to virgo,of the the dates. The dates you have given actually refer to Libra. Whyoes one place tell me I’m an ox and another a tiger? My birthday is Jan. 26,1962, what am I?